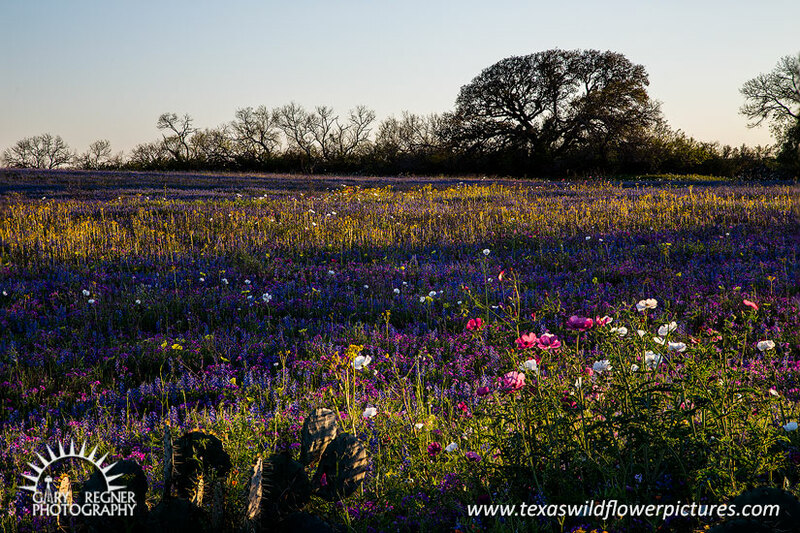 Abundant spring wildflowers and cacti adorn the Texas prairie at sunset. Bluebonnets, groundsel, phlox, and prickly poppies. "Spring on the Texas Prairie"